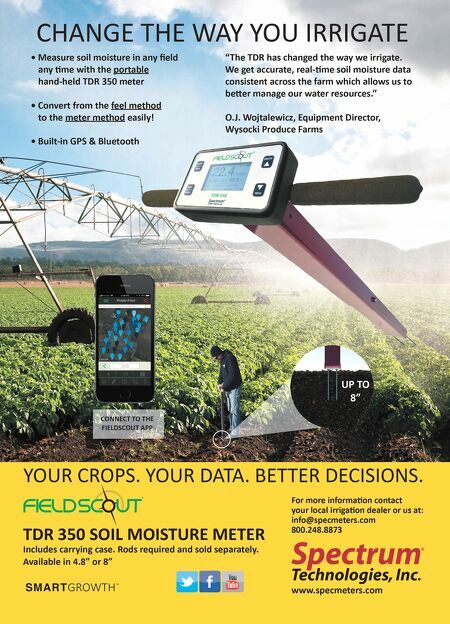 CONNECT TO THE FIELDSCOUT APP • Measure soil moisture in any field any me with the portable hand-held TDR 350 meter • Convert from the feel method to the meter method easily! • Built-in GPS & Bluetooth TDR 350 SOIL MOISTURE METER Includes carrying case. Rods required and sold separately. Available in 4.8" or 8" UP TO 8" For more informa on contact your local irriga on dealer or us at: [email protected] 800.248.8873 ® "The TDR has changed the way we irrigate. We get accurate, real- me soil moisture data consistent across the farm which allows us to be er manage our water resources." O.J. 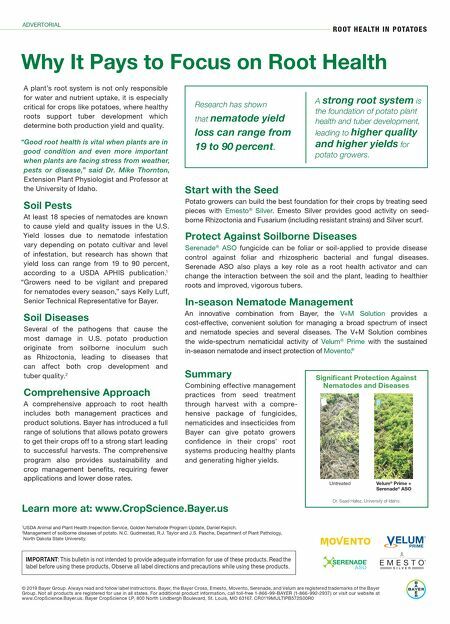 Wojtalewicz, Equipment Director, Wysocki Produce Farms CHANGE THE WAY YOU IRRIGATE www.specmeters.com YOUR CROPS. YOUR DATA. BETTER DECISIONS.